With sights on a medal at the 2020 Tokyo Olympics, Iskandar Zulkarnain, on Thursday, achieved his career’s biggest win when he stunned second seed Kidambi Srikanth in the second round of the India Open 2018 at the Siri Fort Complex here. For someone, who had missed out initial six months in 2017 and could play only eight tournaments owing to an injury, the result was “motivating” heading into a hectic season. “This is my biggest win. Srikanth is a very attacking player but I defended well,” said Zulkarnain who beat the India no. 1 in straight games 21-19, 21-17 in 43 minutes. The Malaysian, who came through the qualifiers, will meet another Indian Sameer Verma in the quarter-finals on Friday. The 26-year-old from Kuala Lumpur had a suffered a slip disc last season and was out of action for six months. He played a couple of tournaments in June-July before actively returning to the circuit in September when he had a semi-final finish at the Belgian Open followed by a title win at the Malaysia Masters in November. “I wanted to push myself and see whether I can continue playing. This win has given me the motivation,” Zulkarnain added. 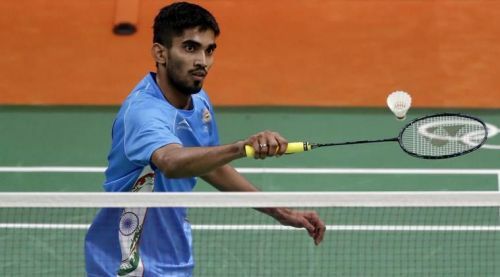 Srikanth, who dazzled with four Superseries titles last year and was playing his first tournament of the season, praised his opponent’s never-say-die spirit, which helped him lift shuttles from “unimaginable positions”. “He is a tricky player. I last played him a year ago but everyone keeps improving. I am coming back from an injury. I am feeling good about my game. The more you play the more confident you are on the court,” said the World No. 3 who insisted on getting more match practice after having recovered from an abdominal muscle strain.